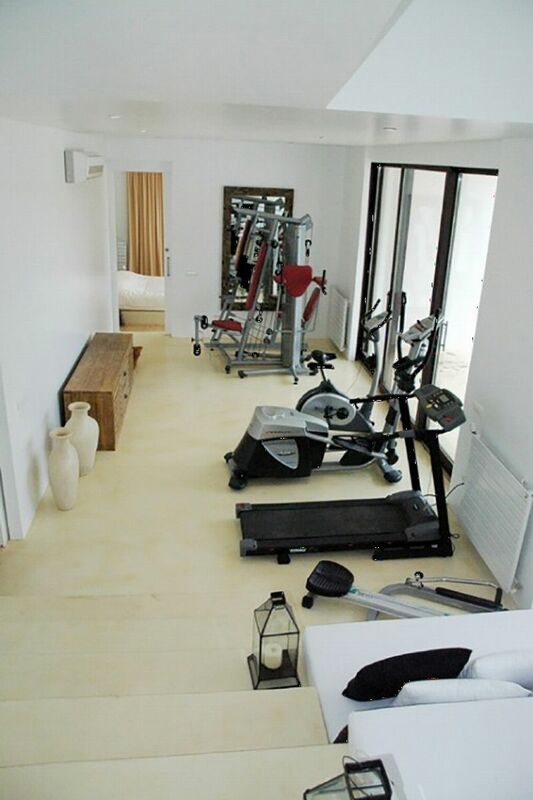 6 hours per day, except Saturdays and Sundays. 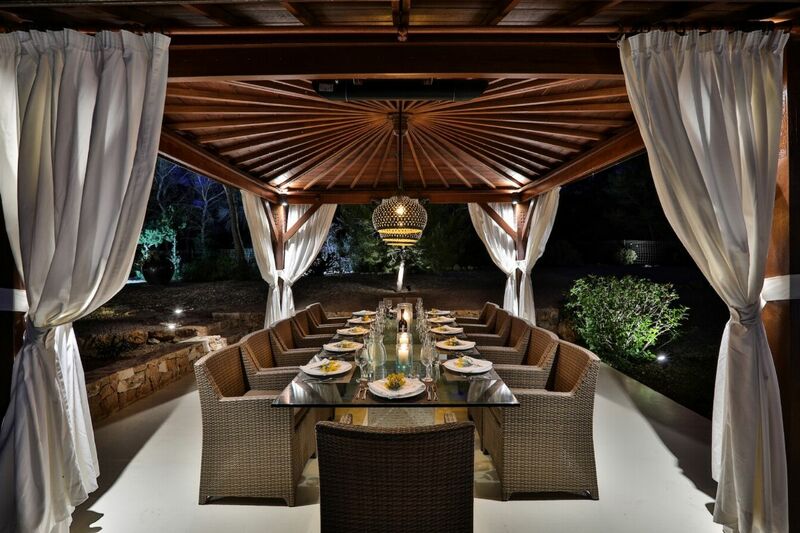 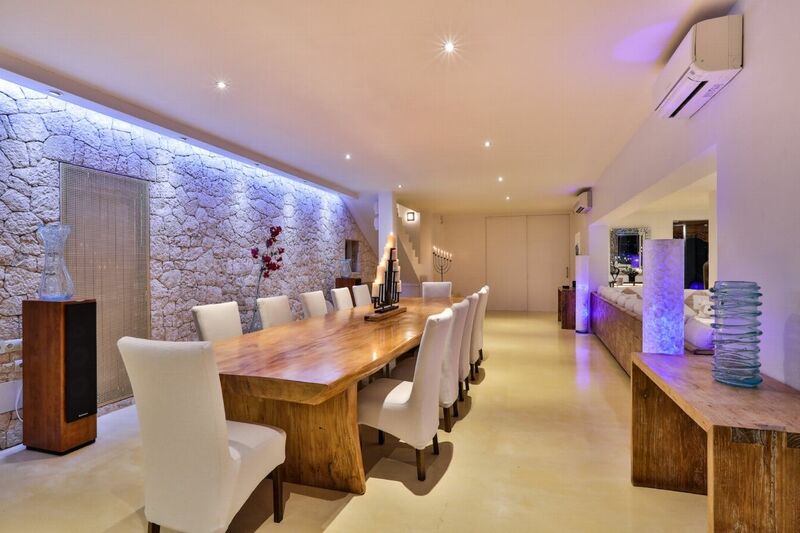 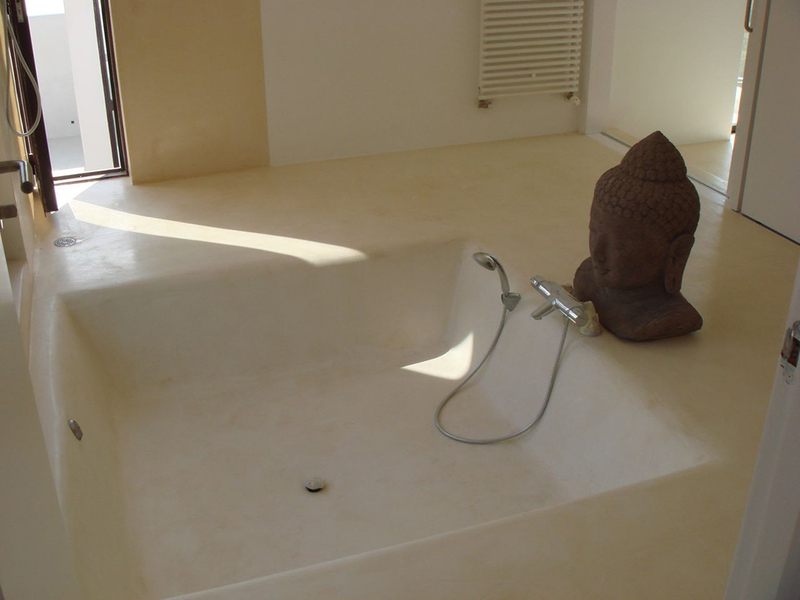 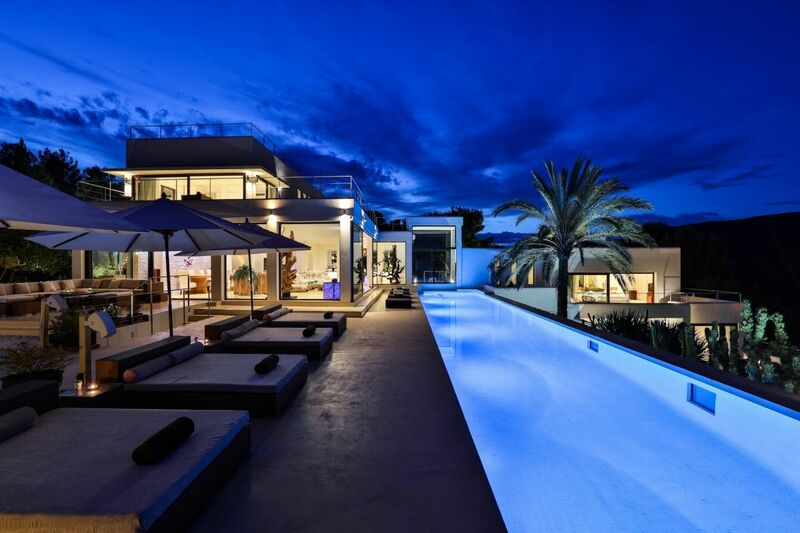 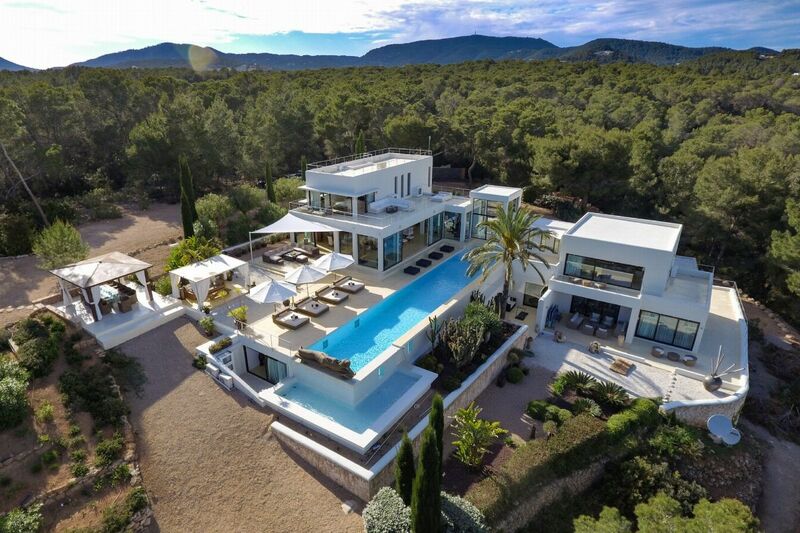 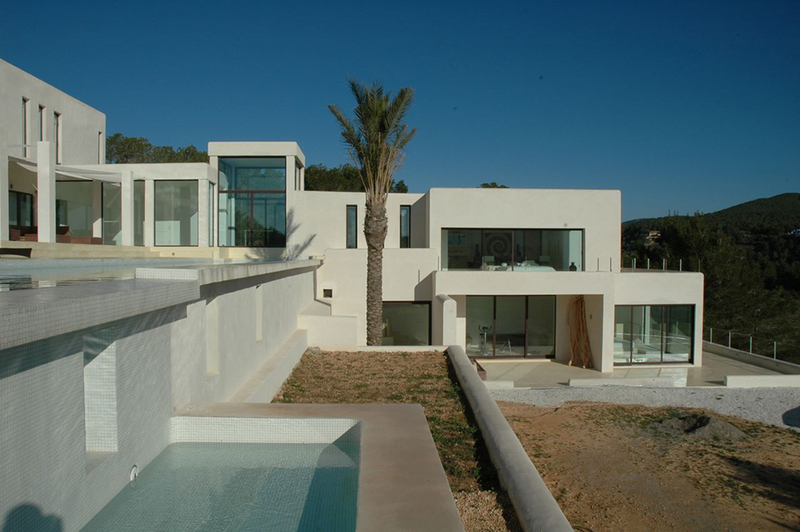 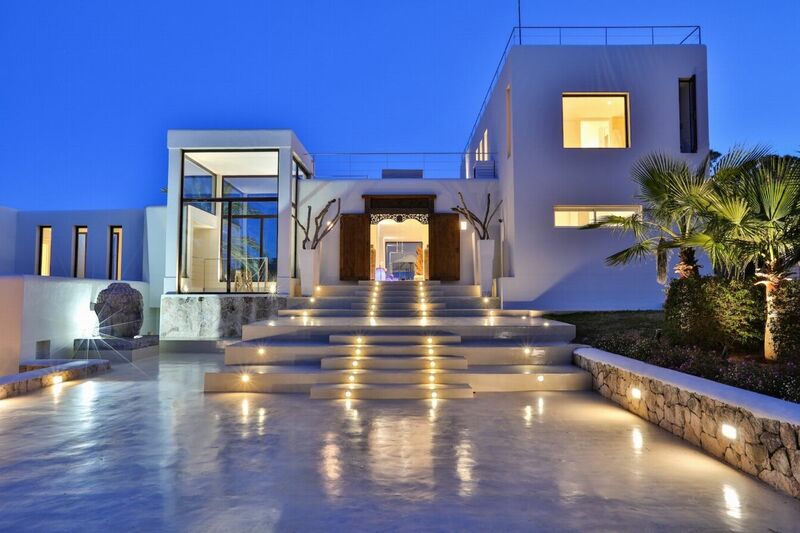 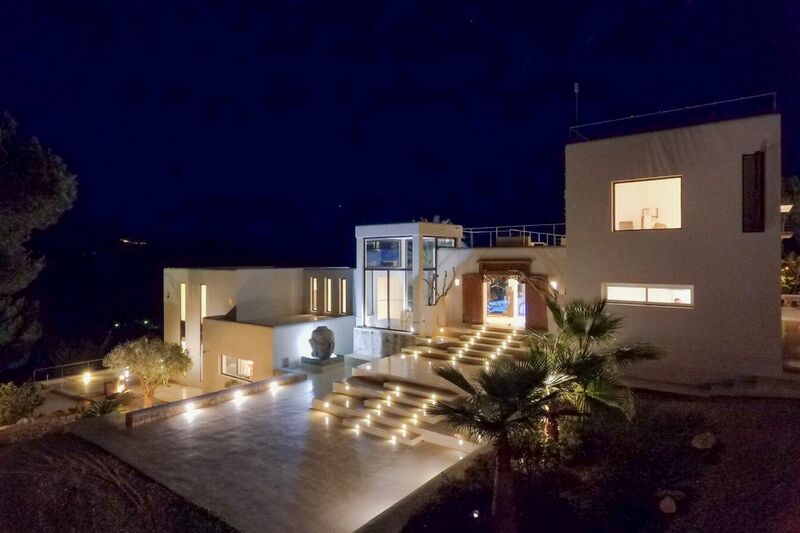 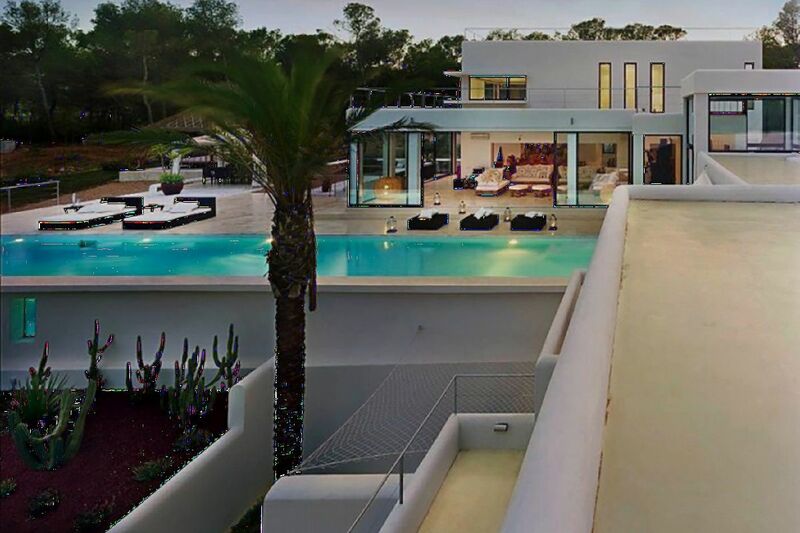 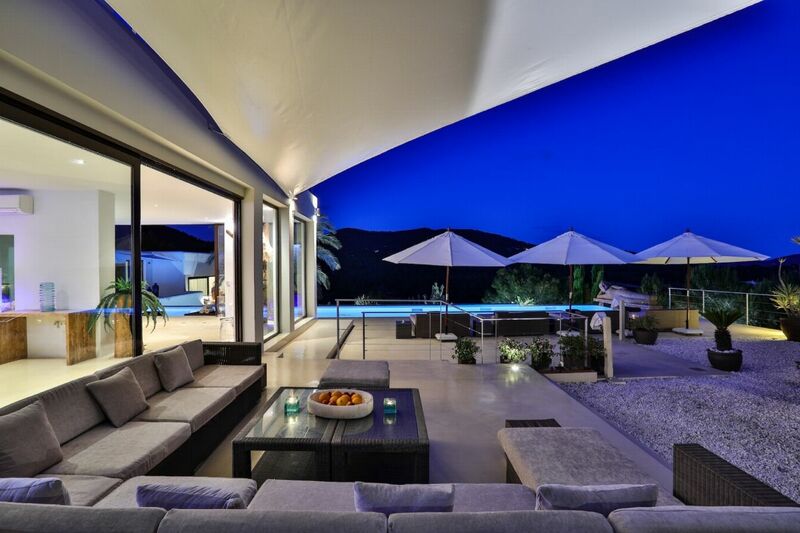 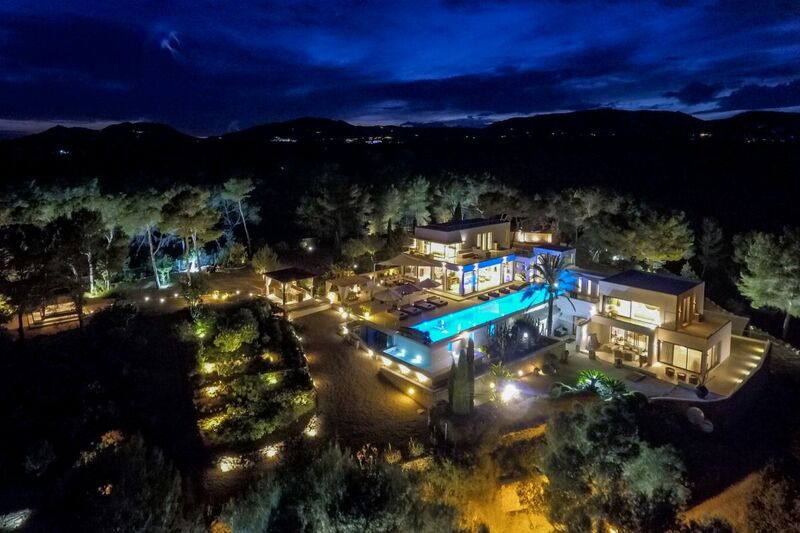 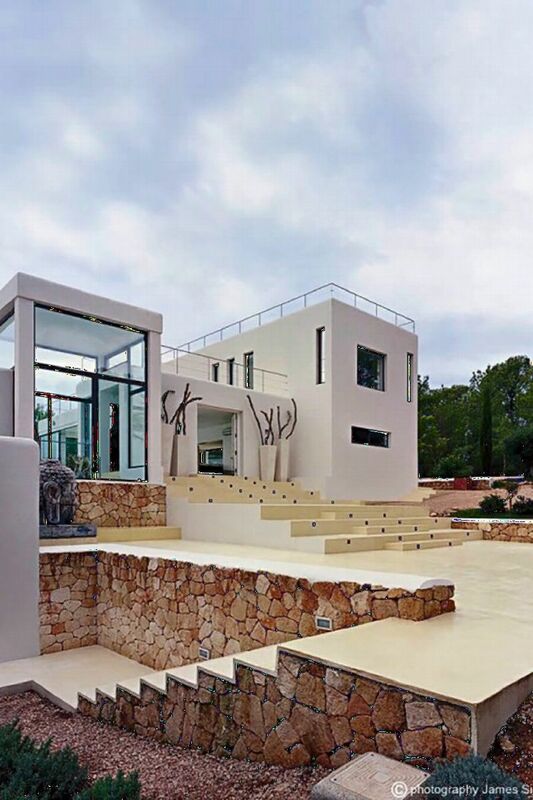 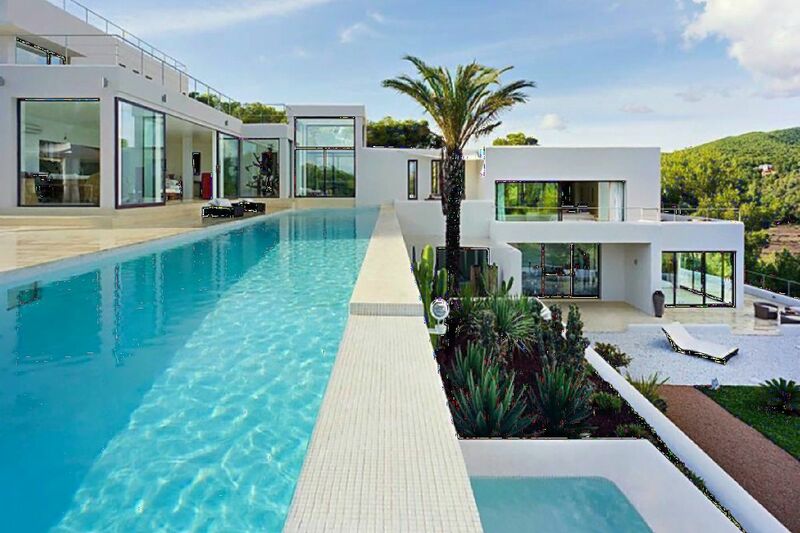 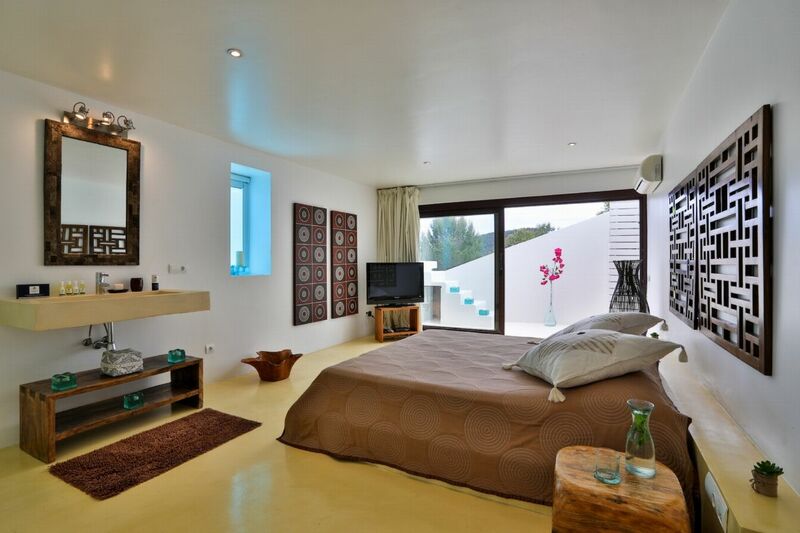 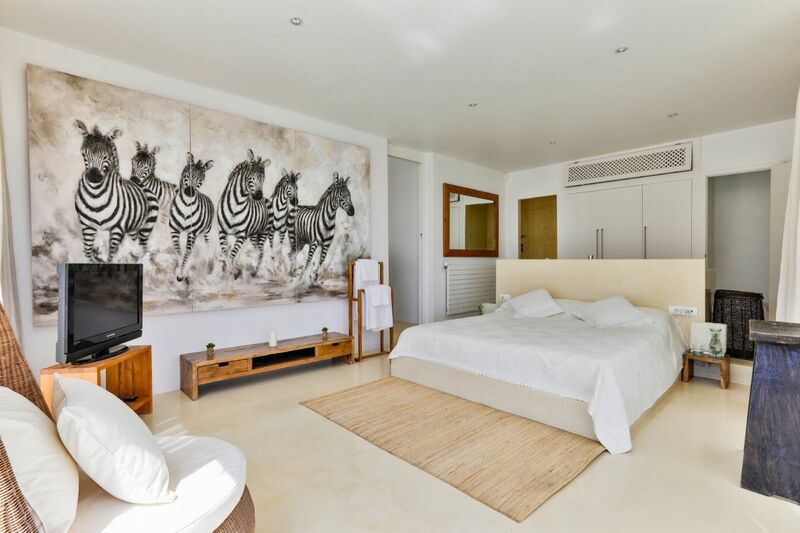 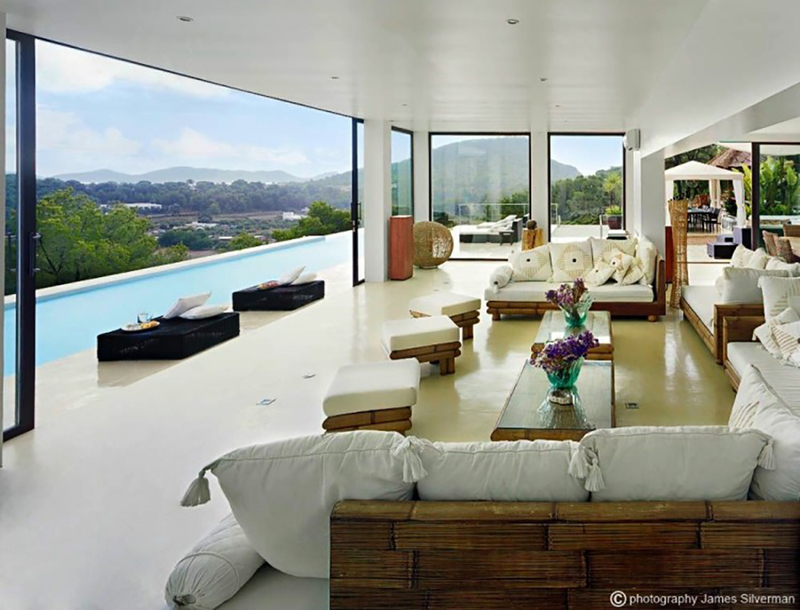 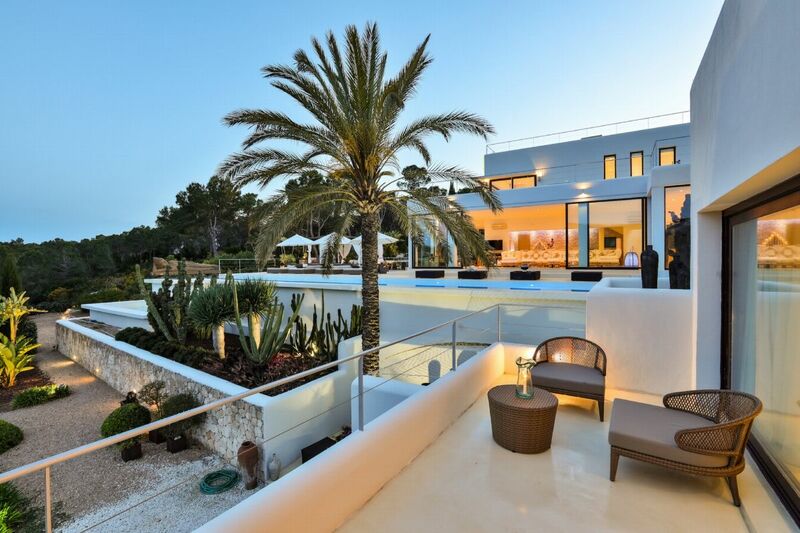 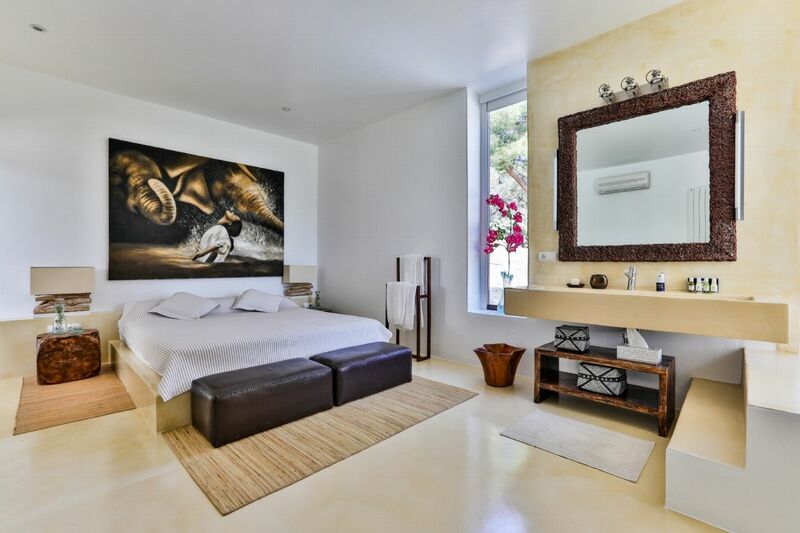 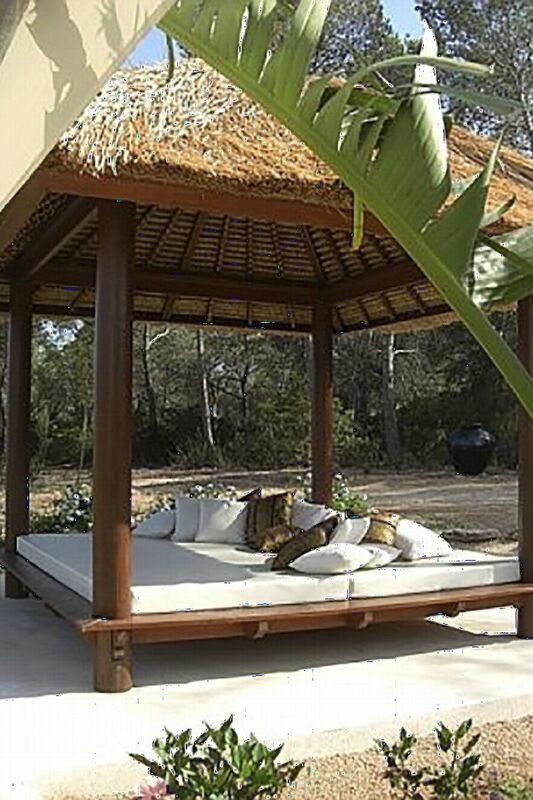 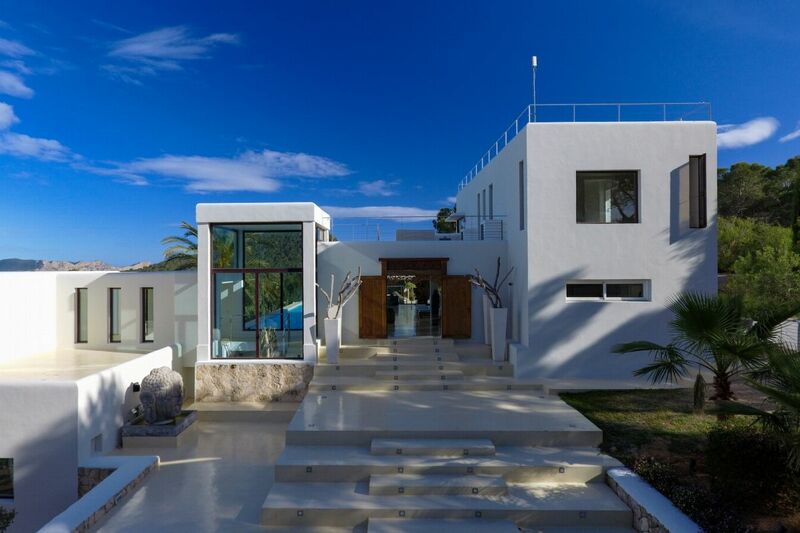 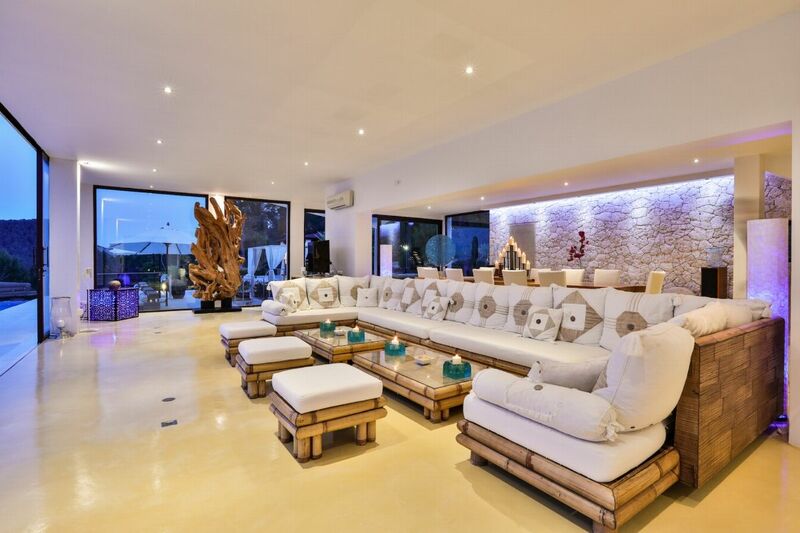 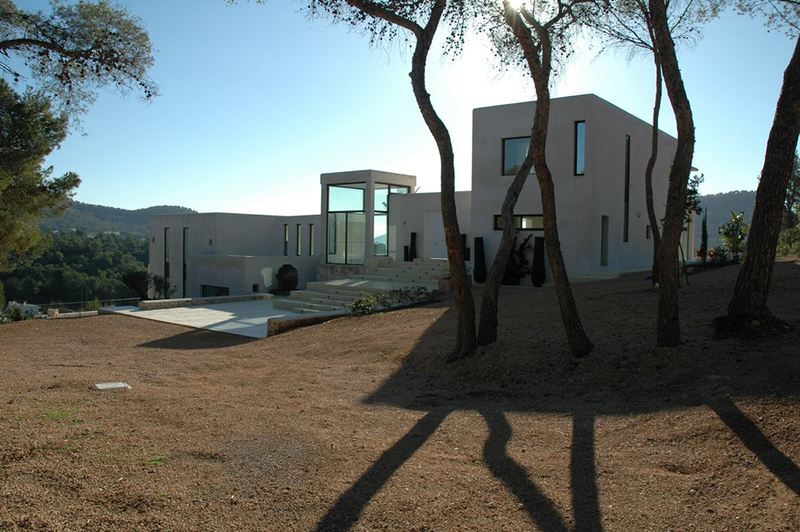 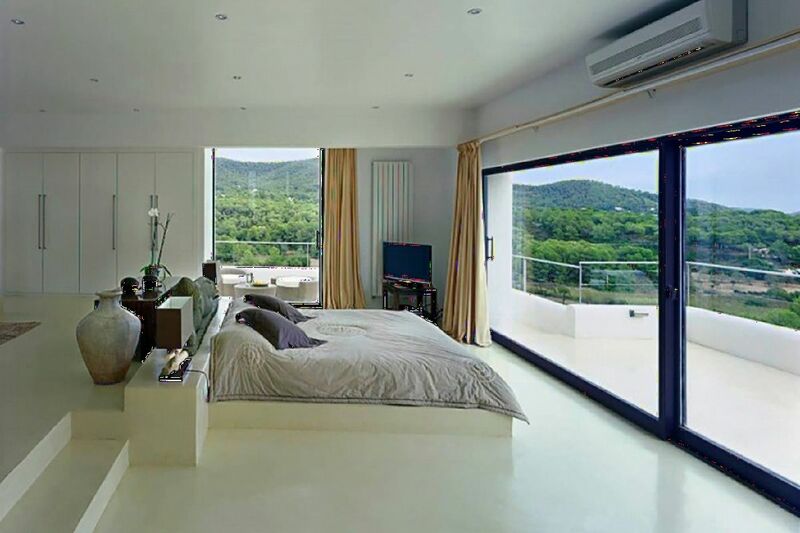 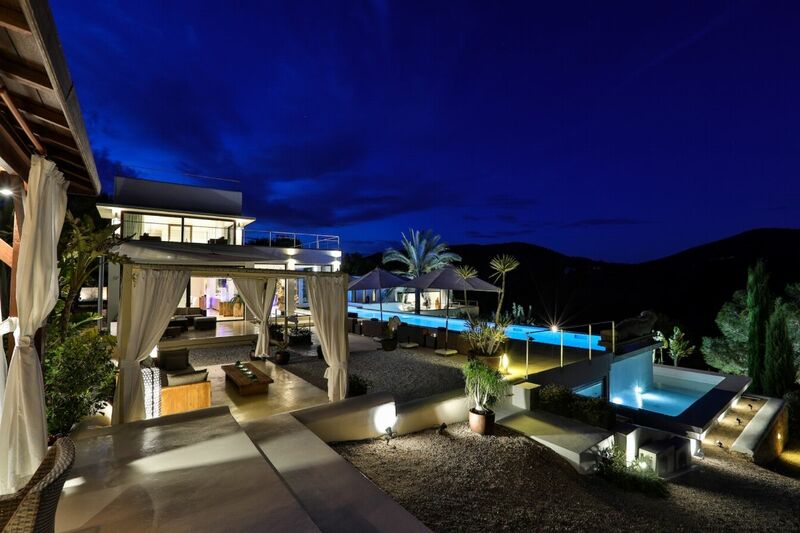 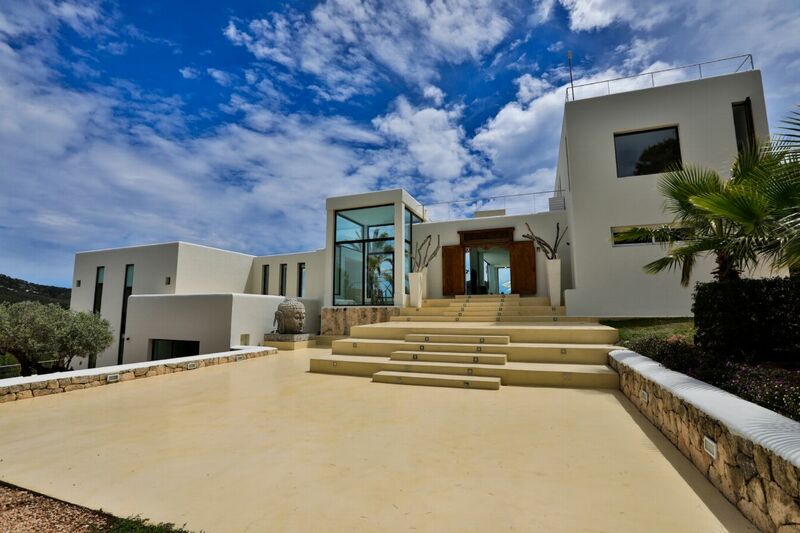 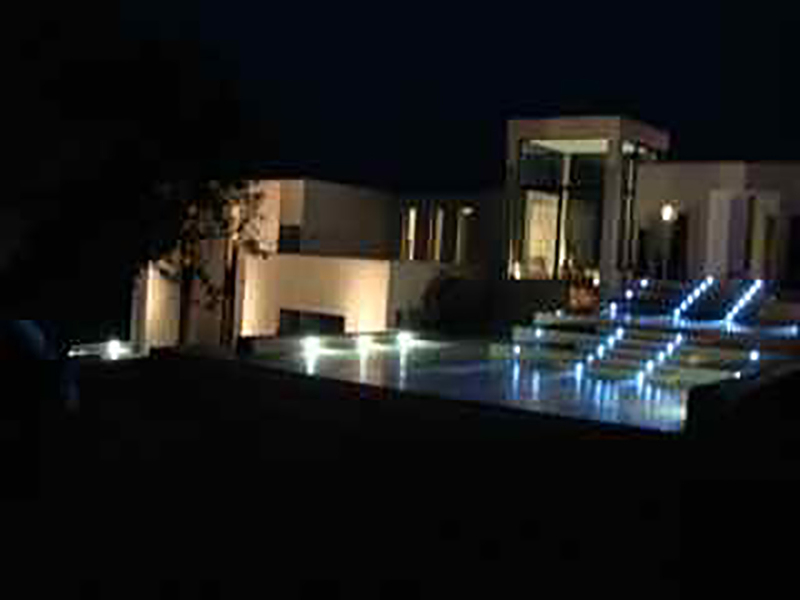 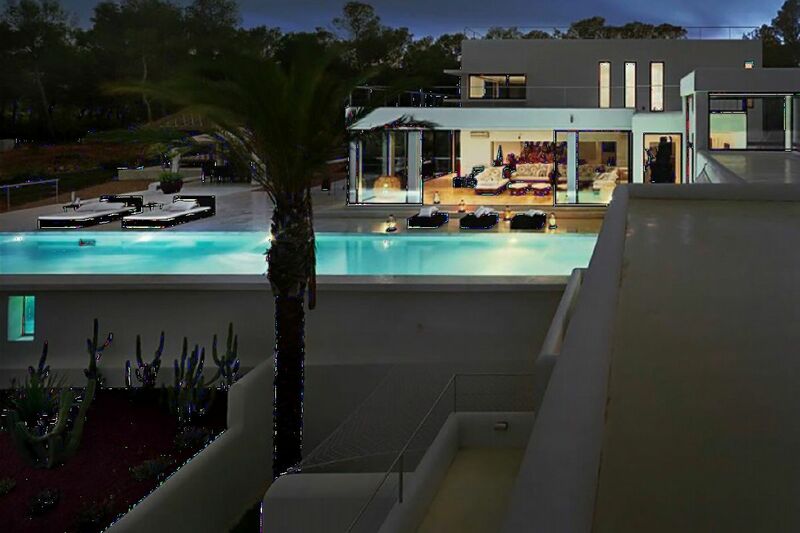 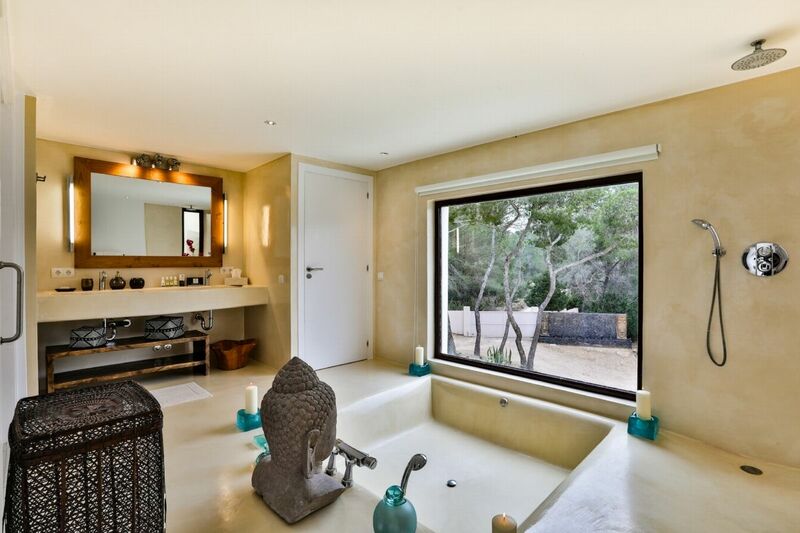 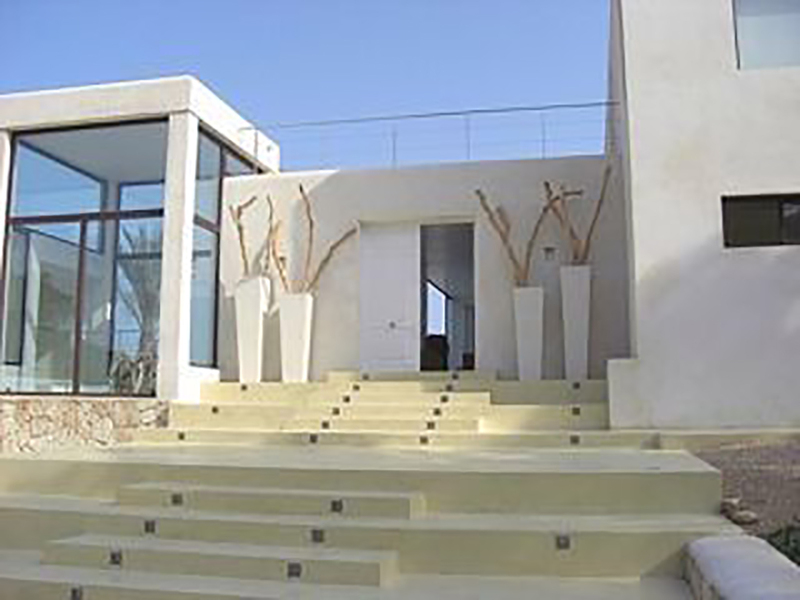 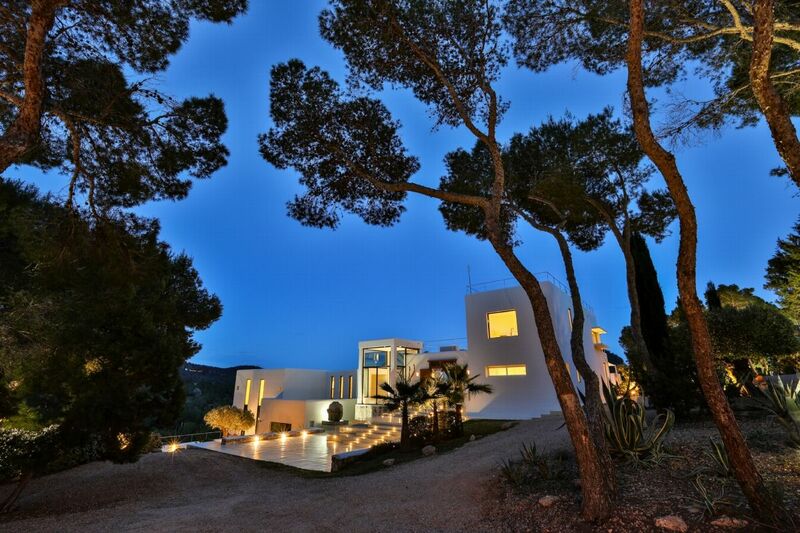 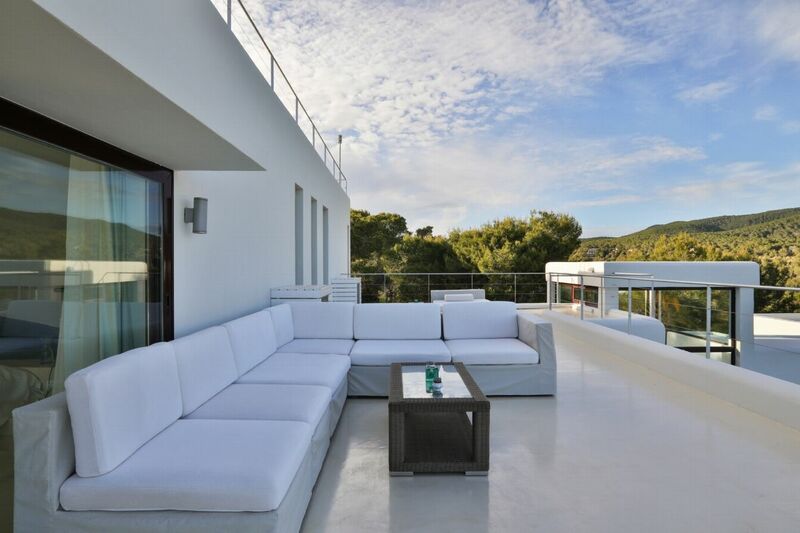 This spectacular and modern villa consists of 650 m2 with an added 1,200 m2 of terraces on different levels with several luxurious chill out areas. 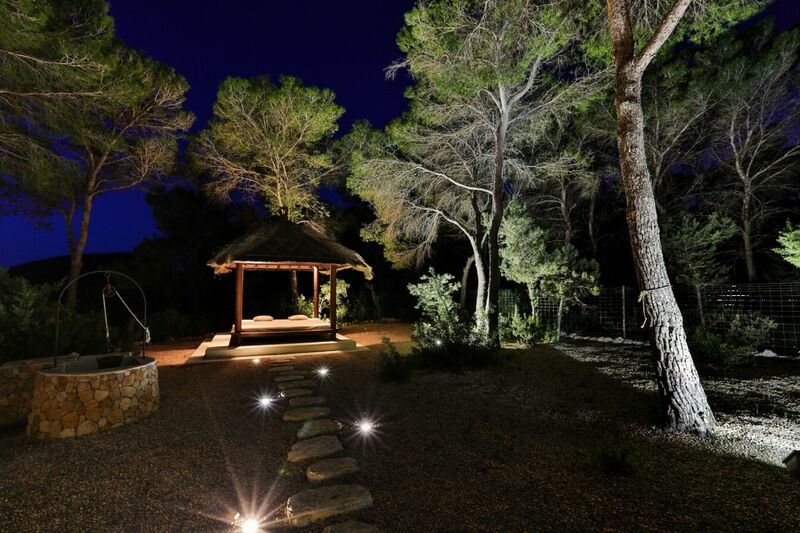 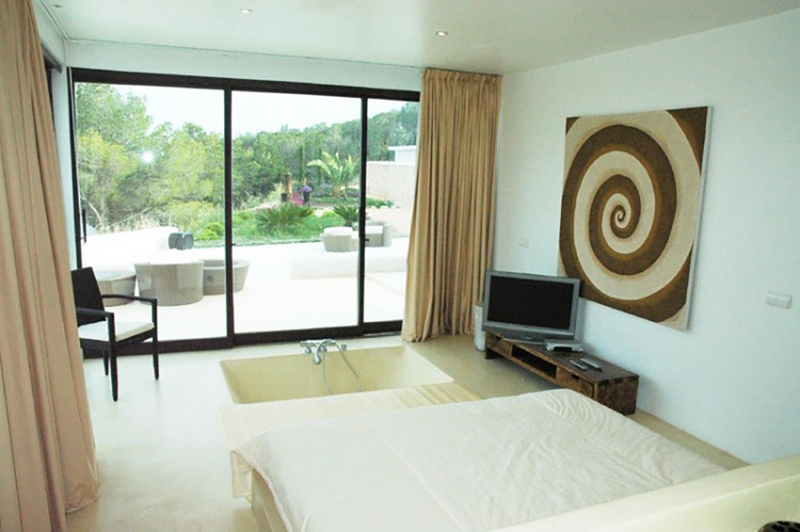 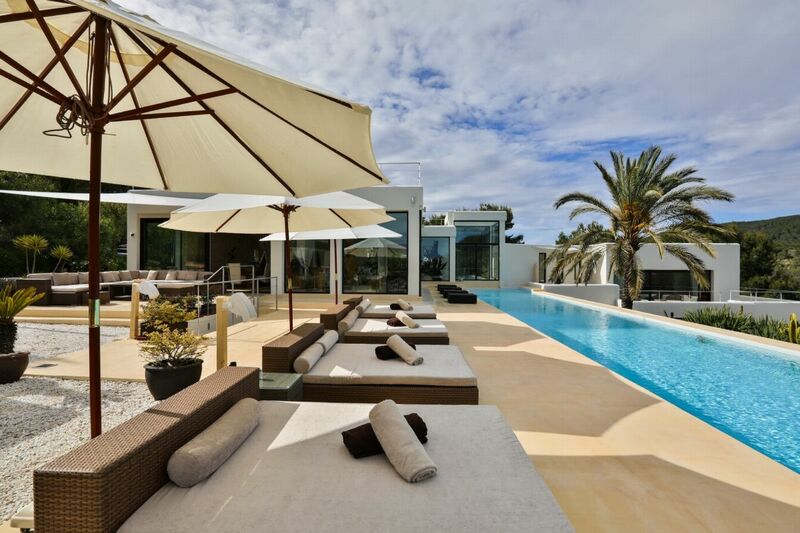 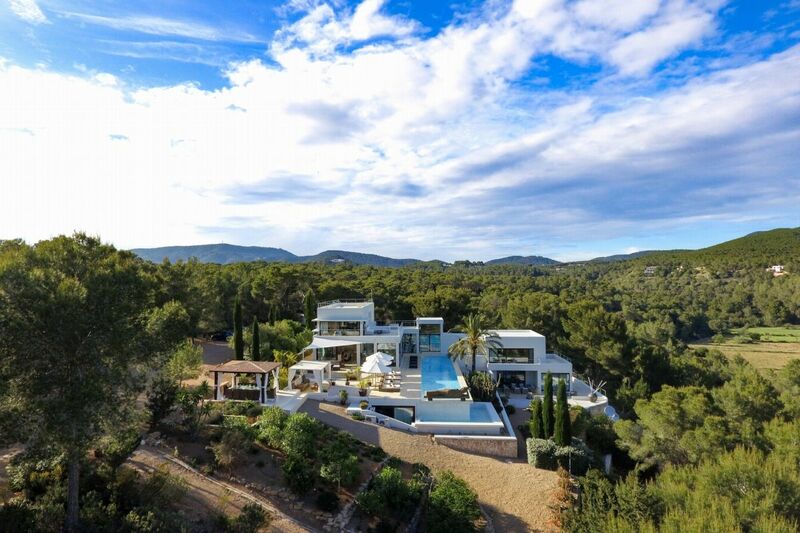 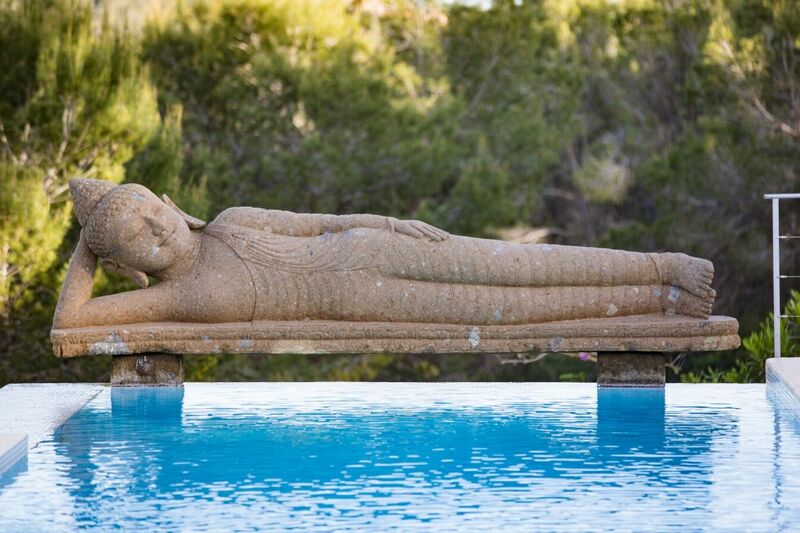 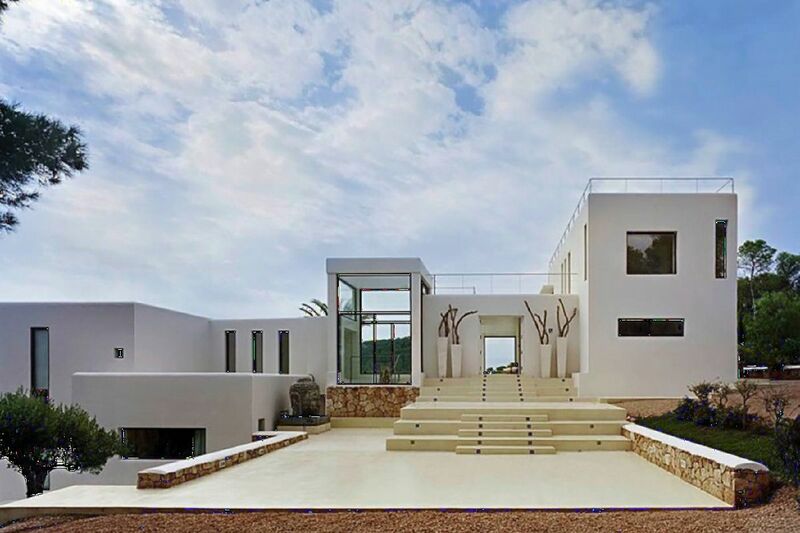 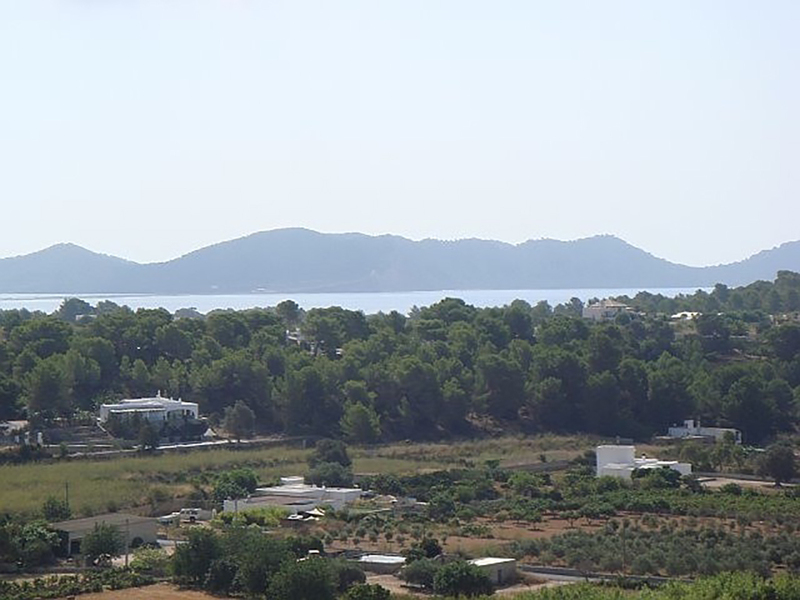 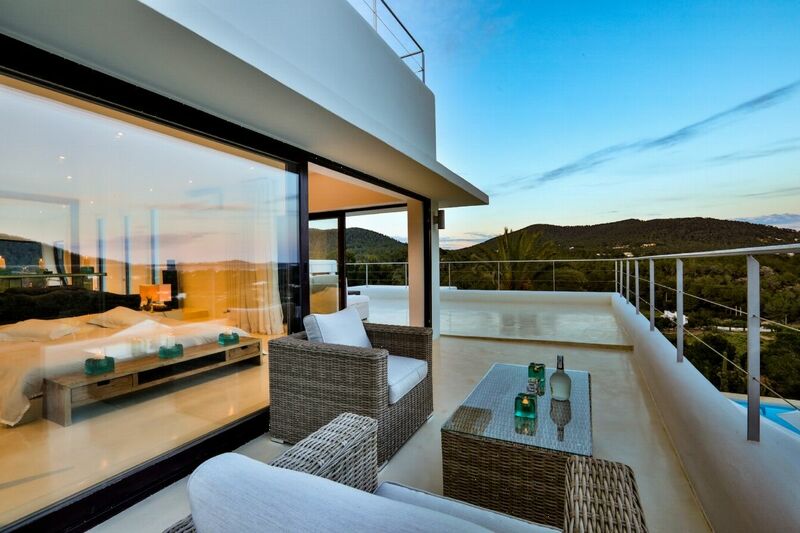 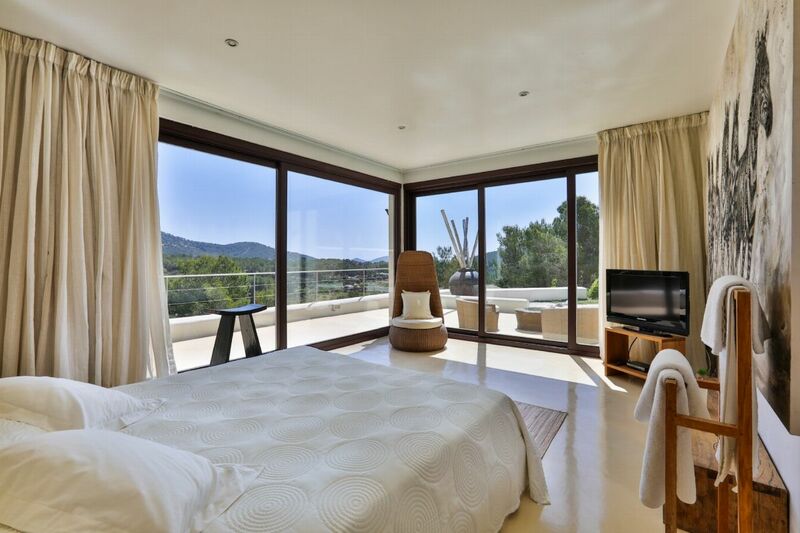 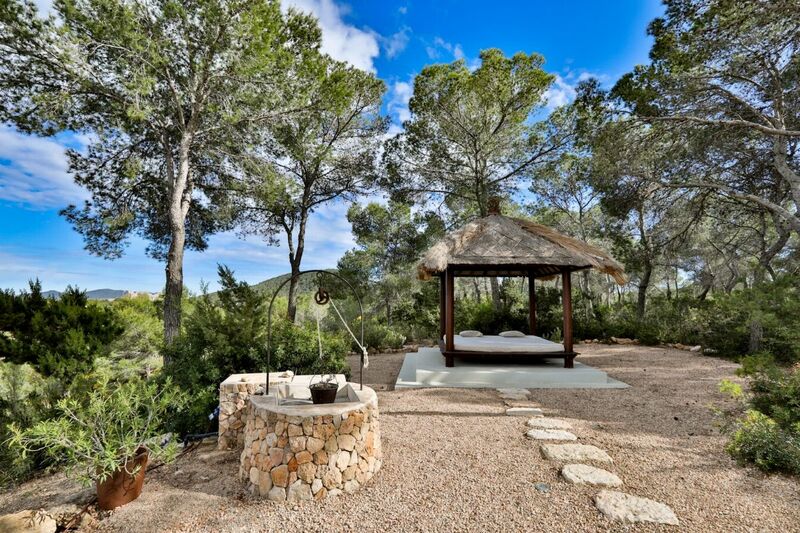 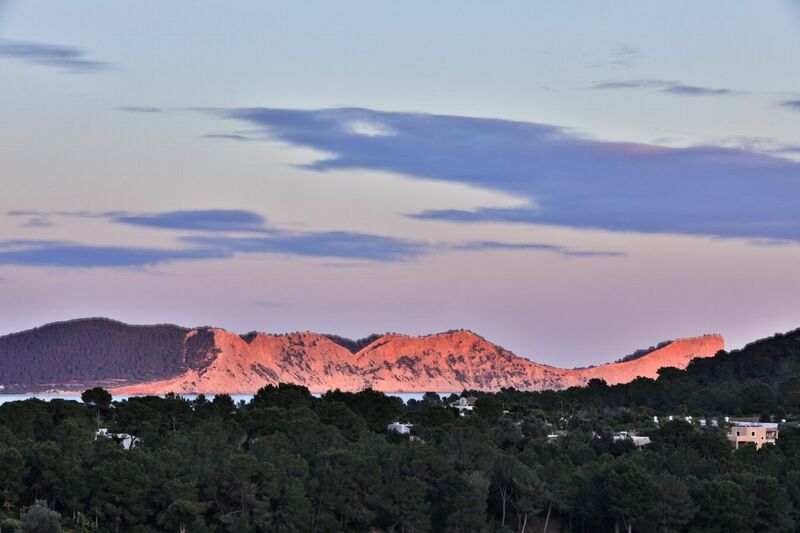 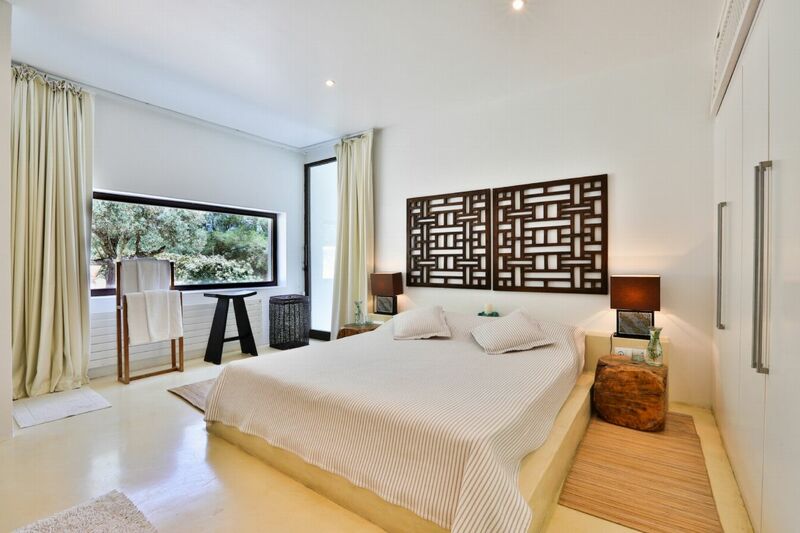 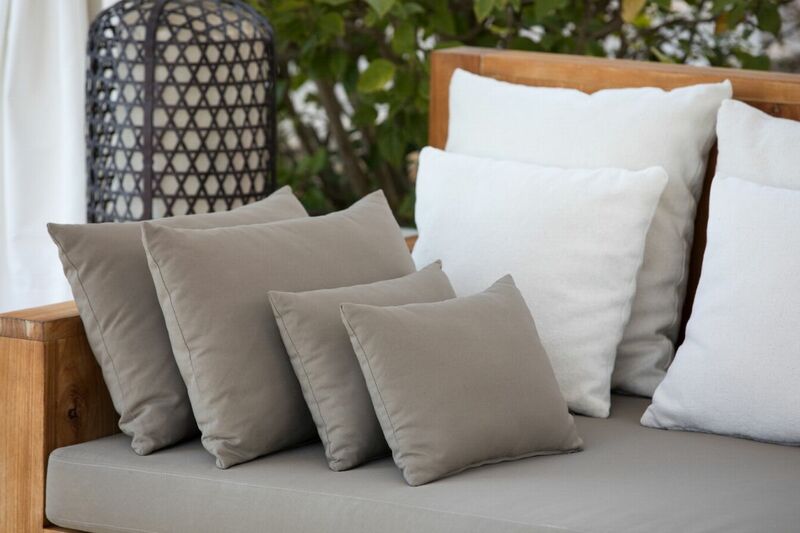 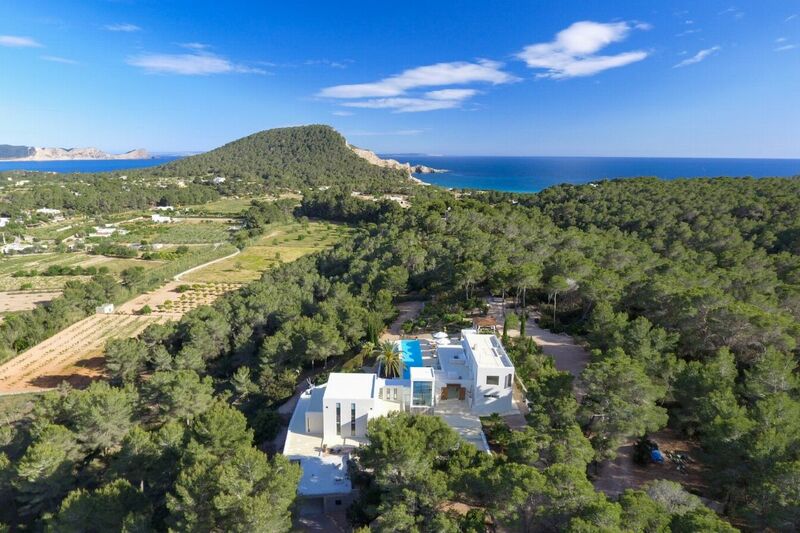 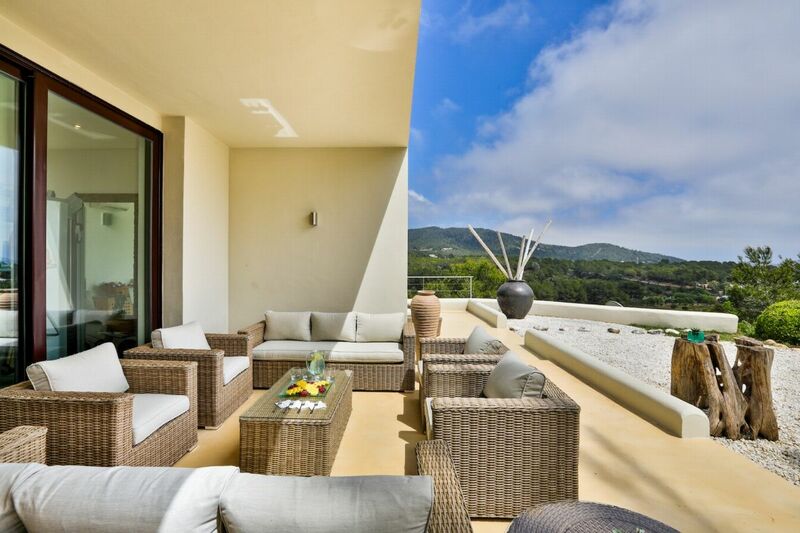 Situated in a 25,000 m2 plot close to Cala Jondal Beach it boasts magnificent views of the sparkling Mediterranean Sea as well as views of the sensational sunsets. 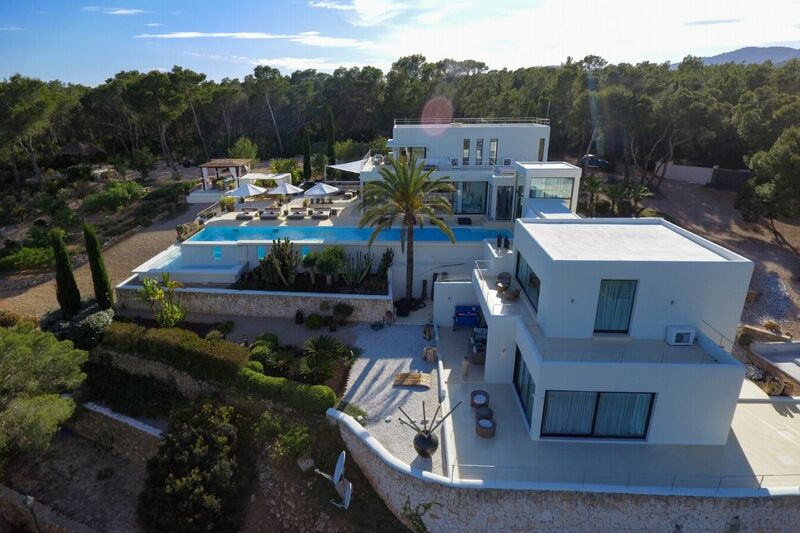 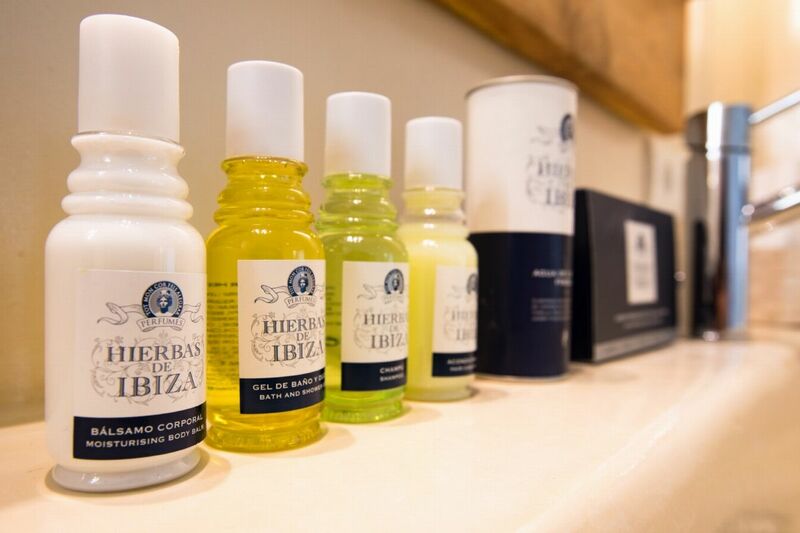 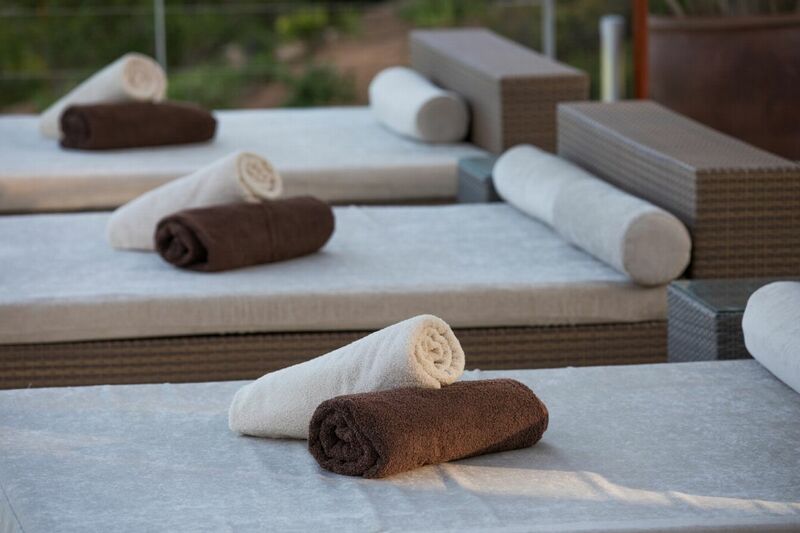 There is a fabulous infinity pool surrounded by several sun loungers and day beds alongside beautifully maintained gardens. 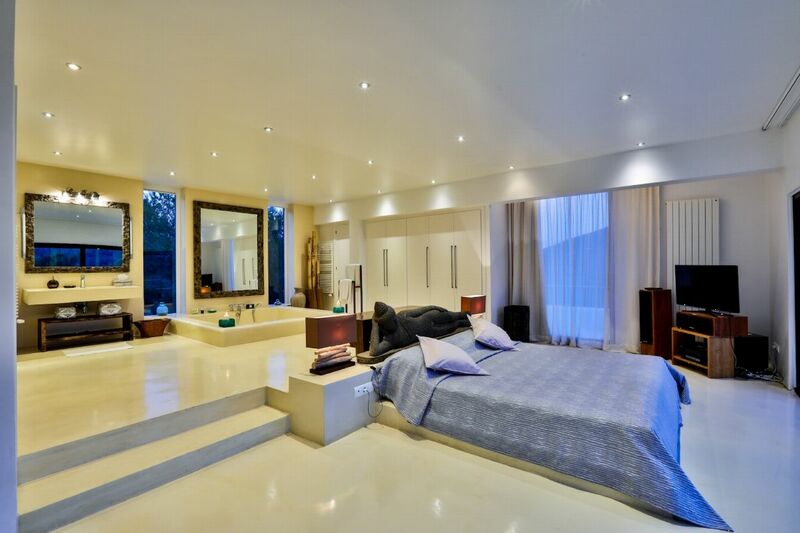 LIVING AREAS The villa's living areas and bedrooms are split over several levels. 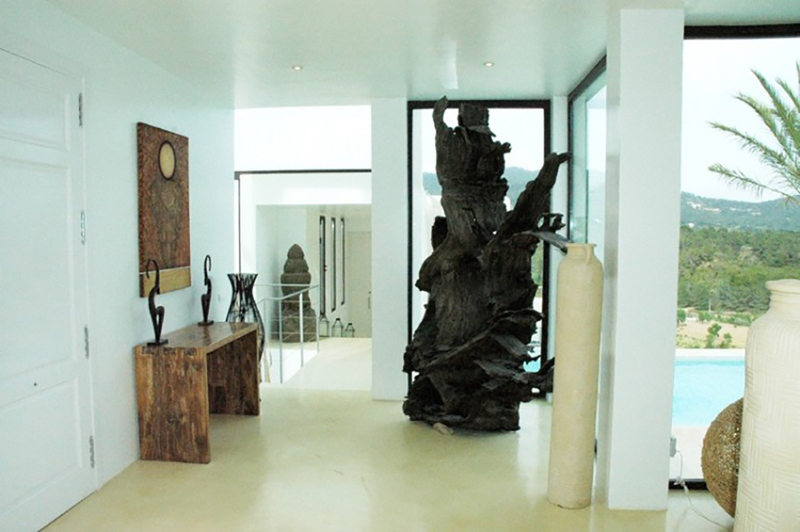 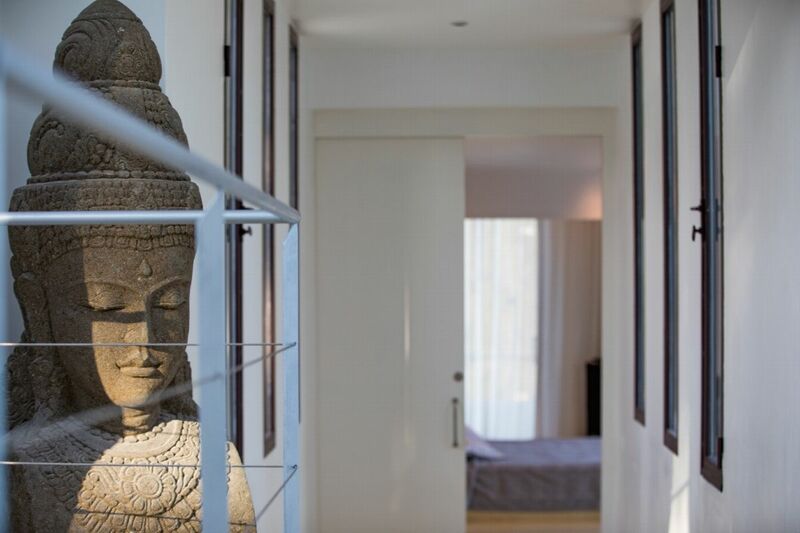 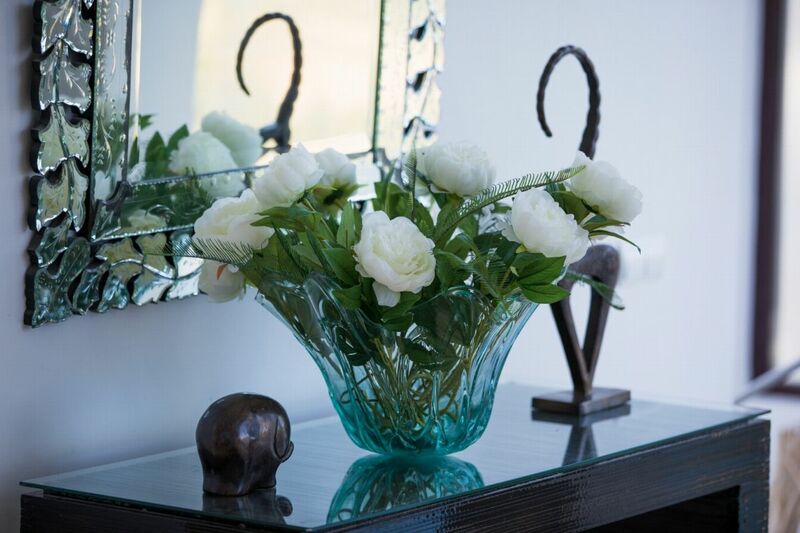 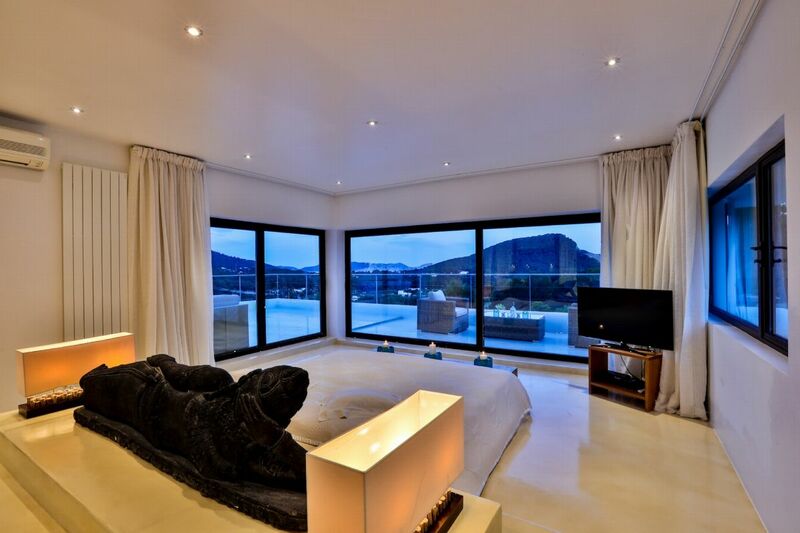 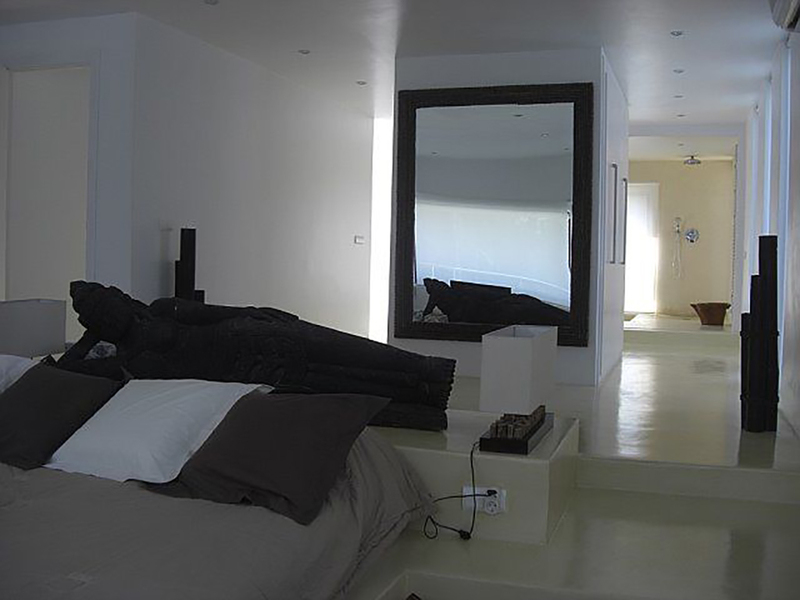 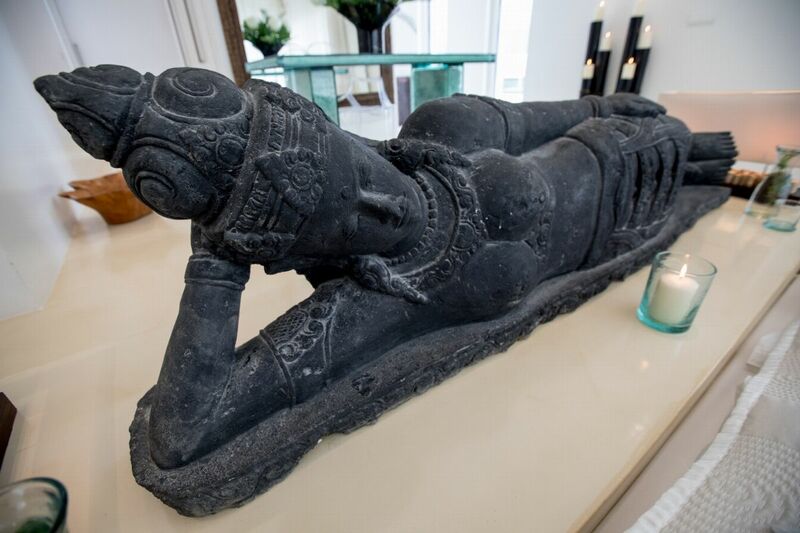 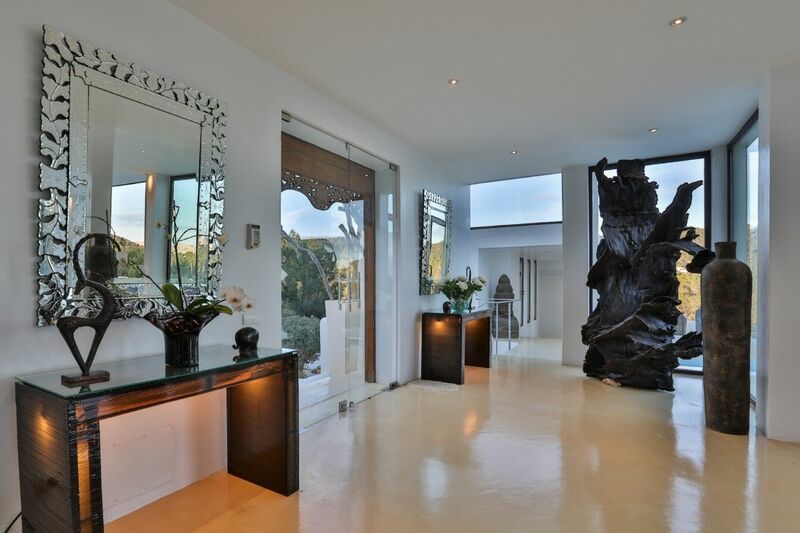 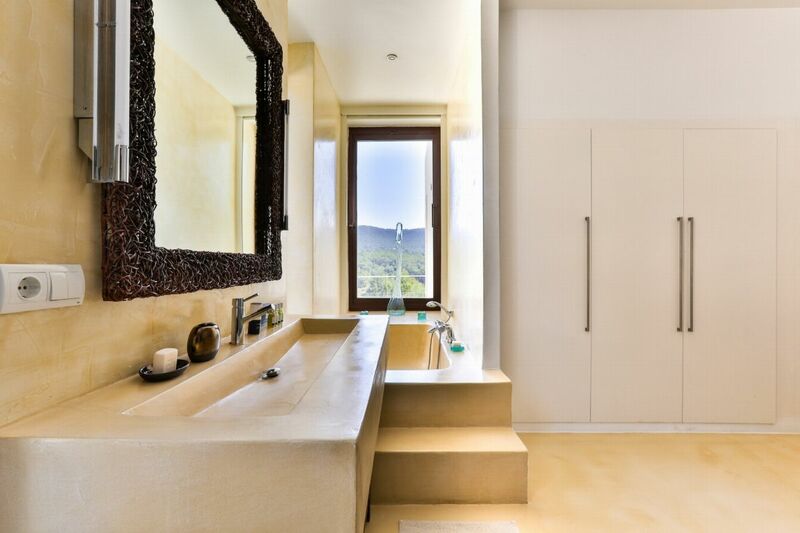 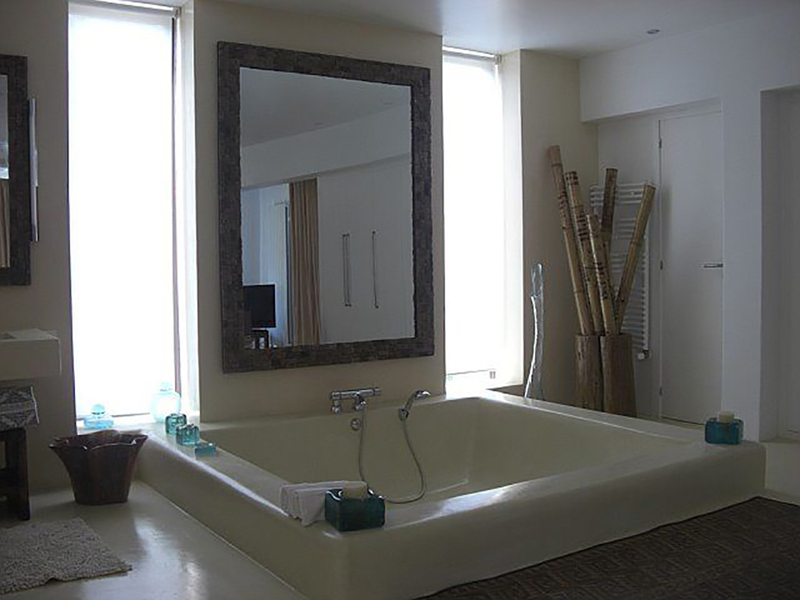 After the entrance hall there is a open plan, fully equipped, ultra modern kitchen, lounge and dining area all of which have plenty of natural light thanks to the huge beautifully designed windows that lead directly out to the infinity pool, with beautiful views. 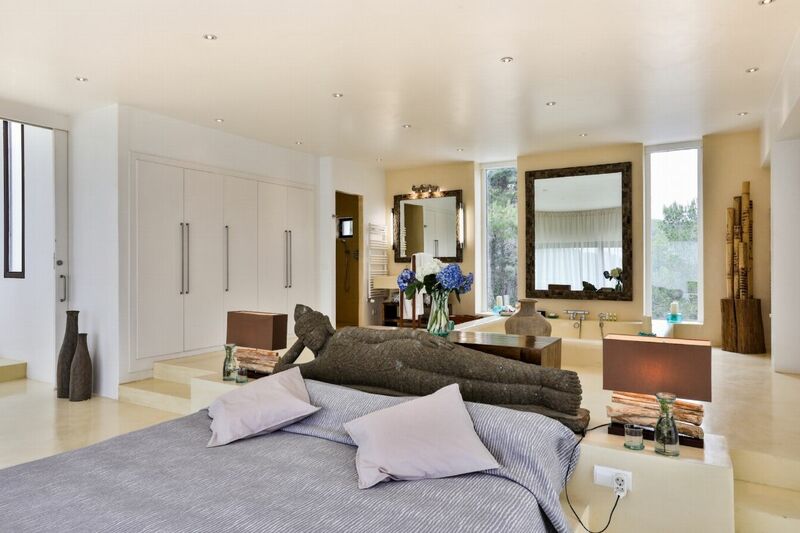 The spacious lounge features satellite TV and huge comfortable sofas, there is access to WiFi and a sound system with Ipod docking stations throughout the house. 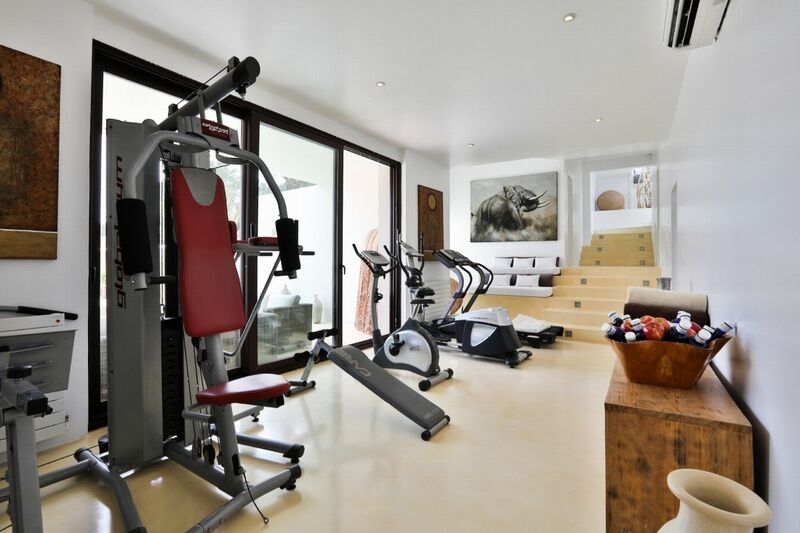 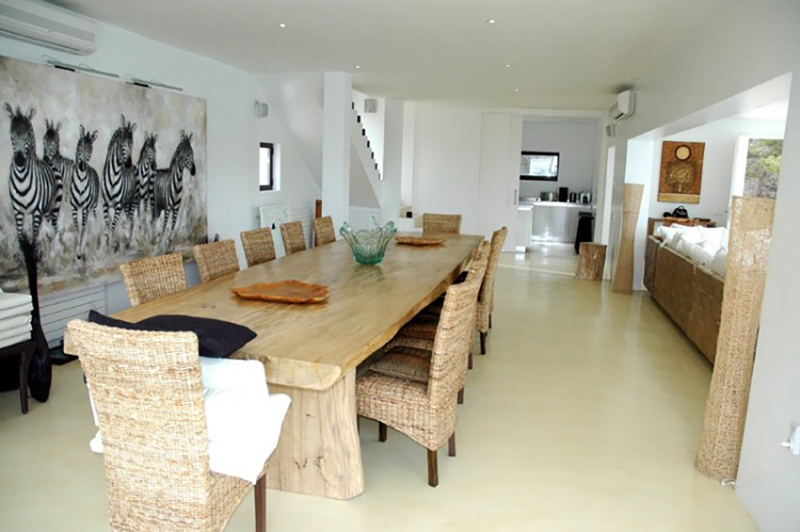 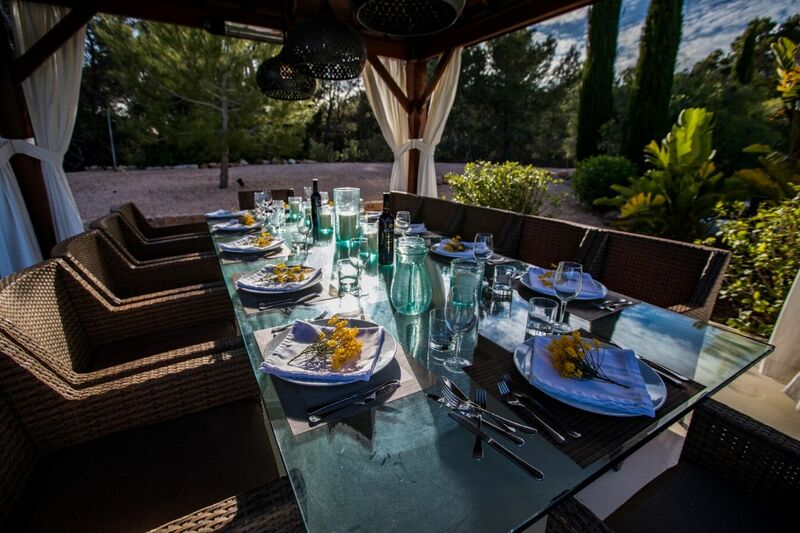 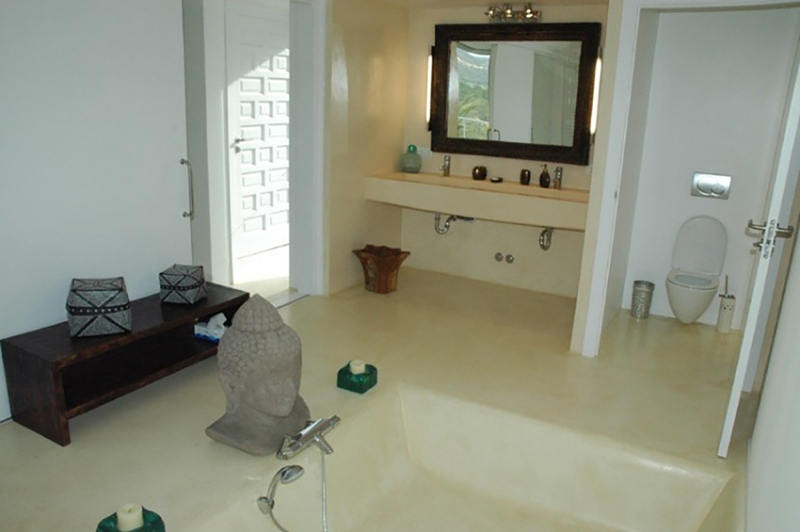 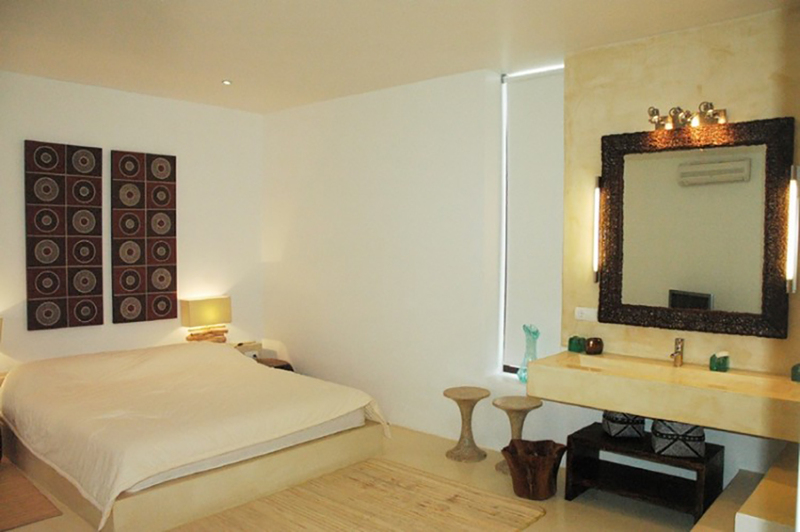 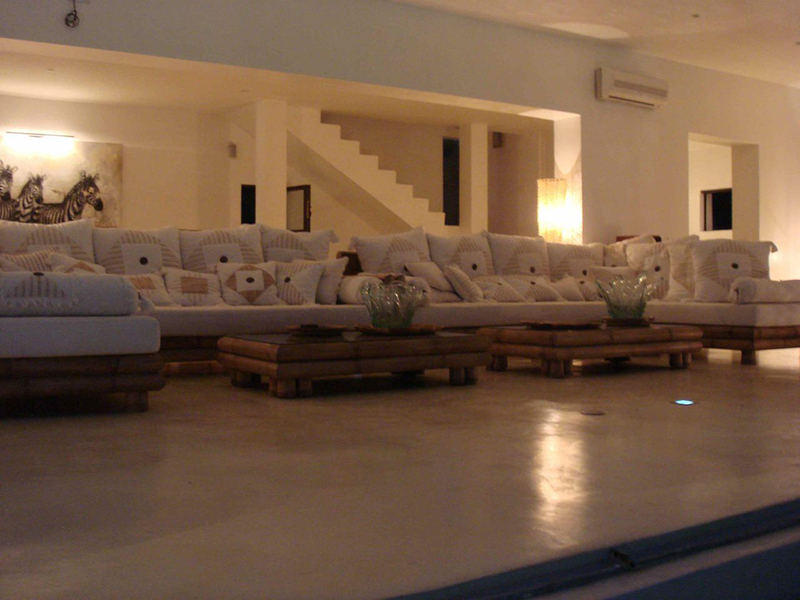 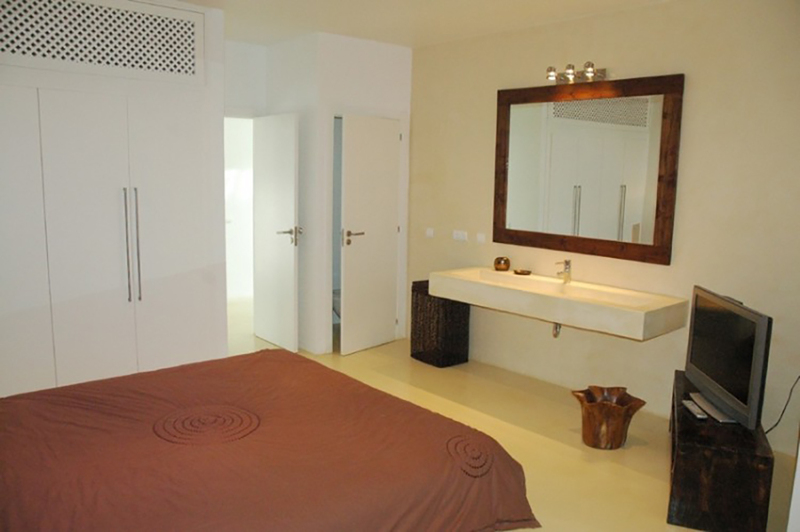 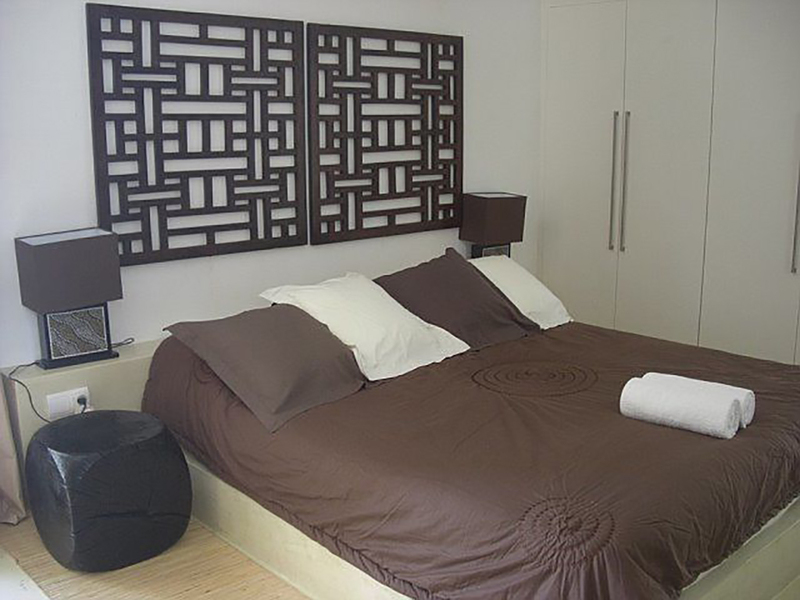 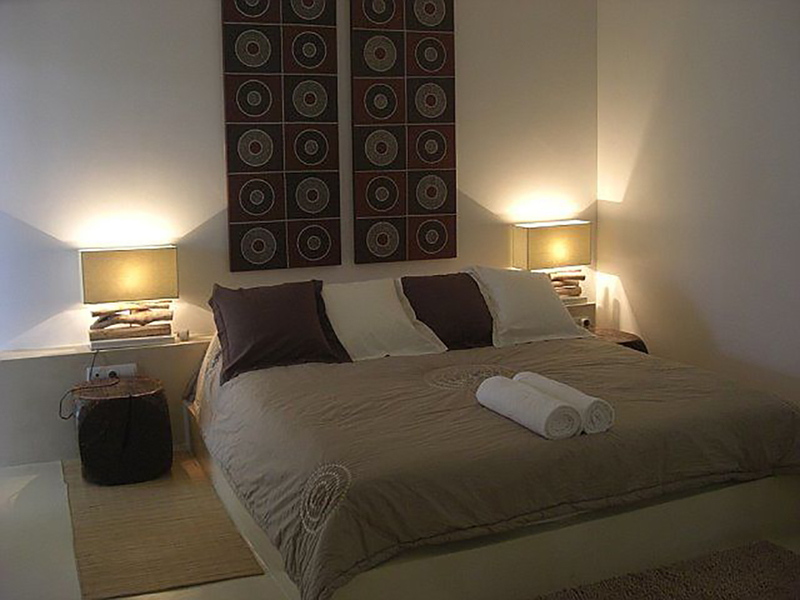 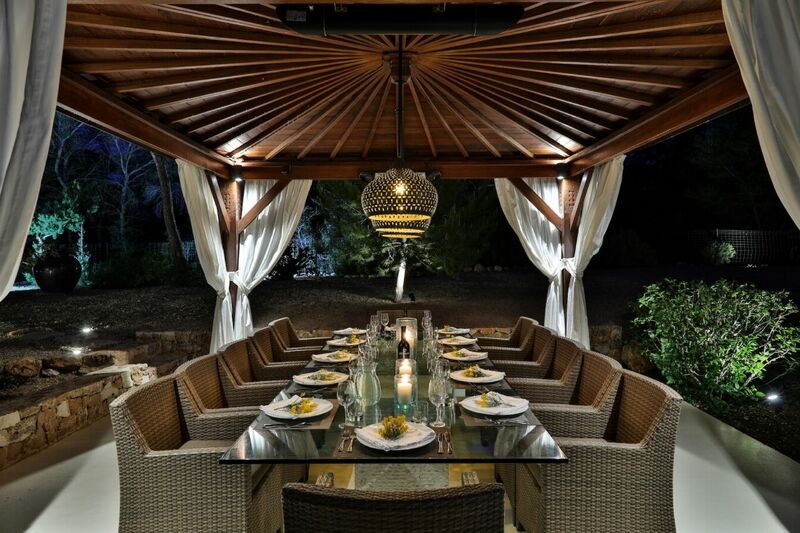 The dining area easily accommodates 12 people and there is a private gym and laundry room.